In today's economy, saving money on your office equipment is so important to make your annual budget go further. 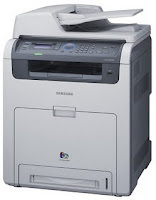 Samsung have recently announced they are extending the warranty period on selected printers from 1 year to 5. This means your investment will be covered for a large part of it's life. The offer will save you around £200 - based on the fact a 2-year extended warranty normally costs £100. The MoreFrom Group websites list all of the qualifying printers and I have added a link to the Samsung terms on each product page. Like most offers, there's an expiry date - for this one it's 30th June 2011. If you have already purchased one of these selected units after 10th January 2011, you qualify too! You must however register your warranty within 3 month of purchase. This is a great offer, and will hopefully save you a lot of money.